Before this post I do want to point out that i'm not all high and mighty about this subject. I choose to do this because I want to and I don't want this to come across as though i'm forcing my opinion on anyone or will look down on anyone who has a different opinion because just do what you want innit! About 18 months ago I decided I cared more about animals than to just be a vegetarian and I needed to change my shopping habits to suit my feelings towards animal welfare. I naively assumed testing on animals didn't happen anymore but a bit of research slowly opened my eyes to something that is still a very big deal. I discovered a lot of my favourite brands still weren't certified by PETA and was shocked to find out that some companies still actively test on animals in order to be sold in China. This research started a very long campaign in my brain to make sure that everything I use is cruelty free and I was so happy to find a huge range of brands who make a point of being cruelty free. What began as a plight to make sure my foundation wasn't tested on bunnies has opened my eyes to a lot of things especially the idea of animals being subjected to cruelty with our home cleaning products. Call me stupid but I genuinely never realised that ingredients in toilet bleach and washing up liquid had, at some point been tested on animals. 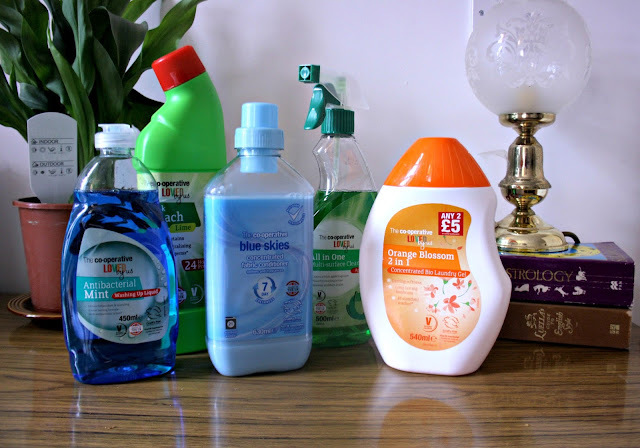 I was fairly overwhelmed already at the idea of having to change my skin care, hair care and make up routine to cruelty free so the idea of extending it to my home cleaning nearly caused a breakdown! One of the overwhelming factors was the cost, i'm someone whose never exactly been rolling in it, so the idea of having to switch from 90p bleach from Wilko to £5 a bottle from a more eco friendly brand was making me feel a bit like making responsible choices was only for people who could afford it. However after a bit of research I was absolutely chuffed to discover that all of the own brand cleaning products from The Co-operative are all cruelty free, and the same price as other own brand products. With the huge leaping bunny logo printed on the front The Co-op have proudly positioned themselves as a supermarket who want to make a difference and are aligning themselves with so many other people who do. 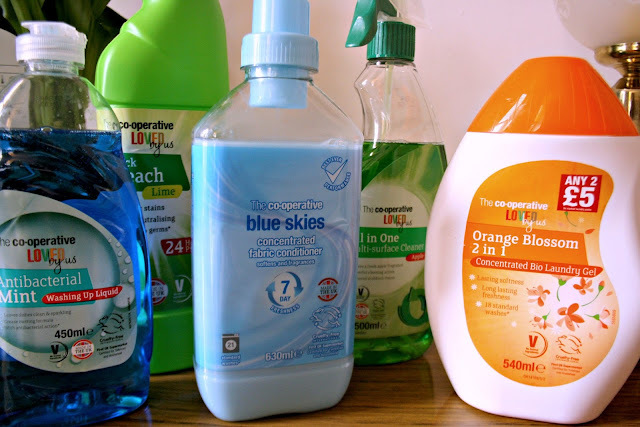 I have bought all of my home products from The Co-op and can happily say they are great products, the laundry gel is priced at around £3 and makes my washing smell gorgeous and the 90p washing up liquid rivals the other supermarket brands I used to buy. I never used to consider shopping in The Co-op not for any other reason than force of habit taking me to one of the bigger named supermarkets however I can firmly say I won't be changing to buying these products for anyone else. Like I said at the beginning I don't want this post to be preachy or a way of forcing others to take on this choice., but if anyone is struggling with the idea of wanting to choose cruelty free but doesn't know where to begin then hopefully this post can help point you in the right direction.